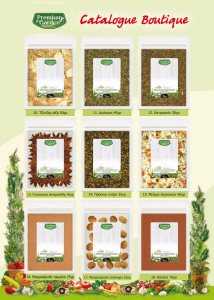 Spices and seasonings- the new products under Premium Garden brand. We use spices for every dish. From the salat to the dessert. Eu Foods Ltd. is ready to provide you the best quality spices for your table. From our Premium gardens, riced with love and care, we grow up the plants, that you will put in your dishes. However only the best are used for further processes, when finaly they are ready to take their place on your table. That is why you can rely on us for high quality products. Classic seasonings like cummin, Bay leaves, Cardamon, etc. Seasonings for meat, fish, rice, etc. For everybody`s needs we have different packages: in transparent packs, and plastic jars in 2 sizes- small and big.